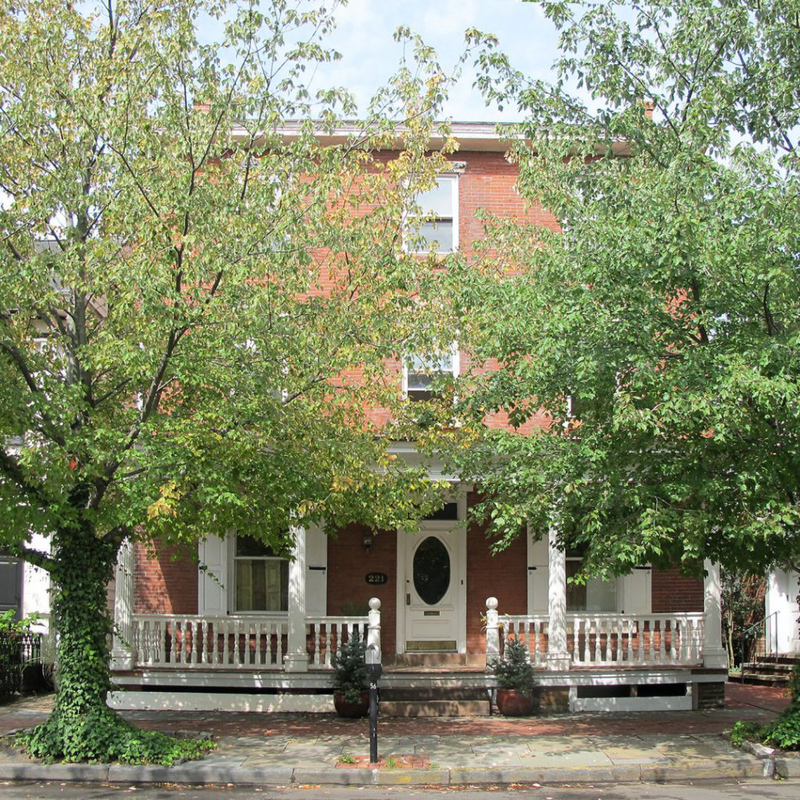 This three-story brick dwelling was built by William Kinsey in about 1834. 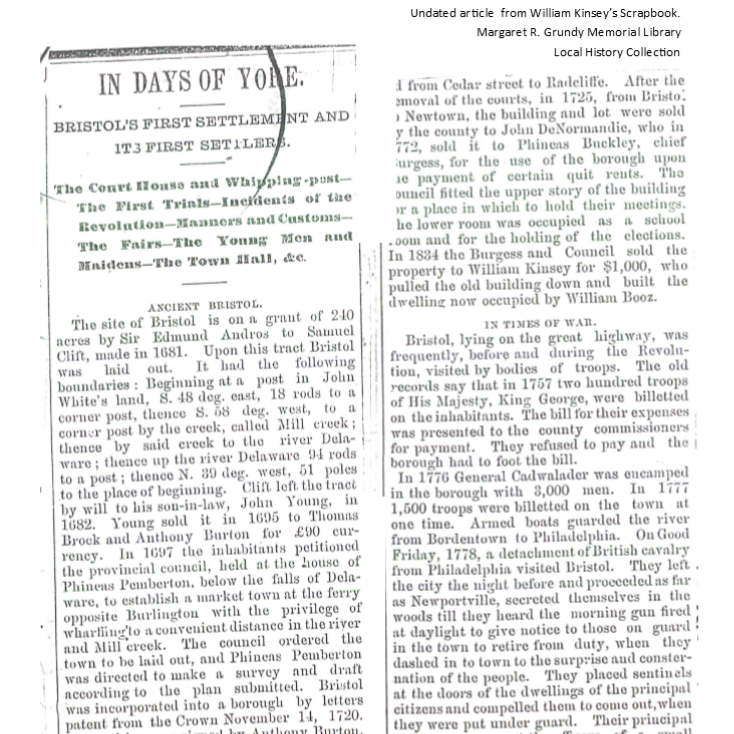 Mr. Kinsey was a blacksmith, journalist, burgess (or mayor) and postmaster in Bristol at various points in his life. His recollections and scrapbooks of current events provide the basis for much of what is known about Bristol’s early history. 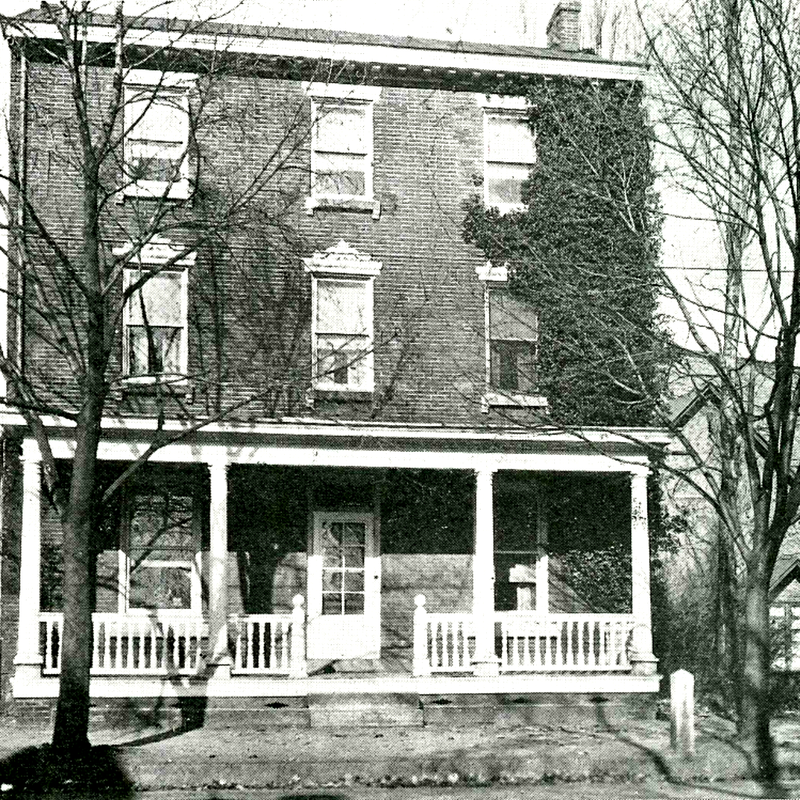 This residence later served as the parsonage for the adjacent Presbyterian Church. On the land behind this house stood the building that housed both the courthouse and prison for Bucks County from 1705 to 1725 when Bristol Borough served as the county seat. The old courthouse has since been razed, but it originally had a whipping post and a beam extending from the gable to be used as a gallows if needed.